If you’ve taken a DNA test, don’t just leave your results on a website. 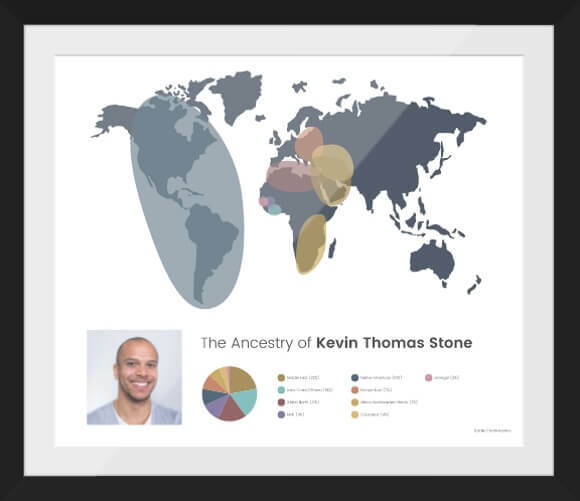 You’re proud of your heritage, so show it off with a beautiful chart showing your ethnicity which you can hang on the wall! 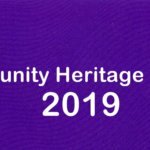 Using your ethnicity results, Family ChartMasters can print your very own personalised Family History DNA chart. 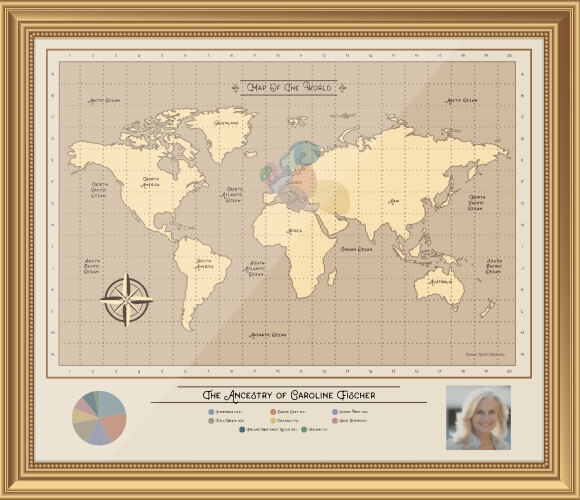 This custom chart only takes 5 minutes to create and comes as a 20″ x 24″ (50cm x 60cm) size print. 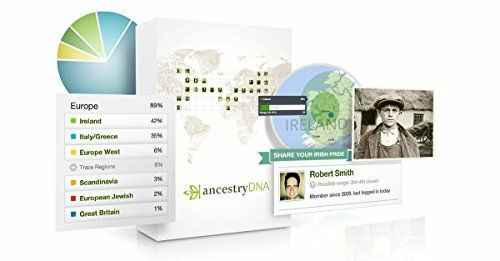 Go to the website link above, enter your ethnicity estimates, choose from the three beautiful styles (basic, antique or modern), choose what paper you’d like it on, upload an optional picture of yourself or the person who’s DNA it is, and order your chart. Yes it really is that simple. The beautiful print will arrive rolled in a tube and ready to frame, and the PDF downloads are available for immediate delivery to your email. 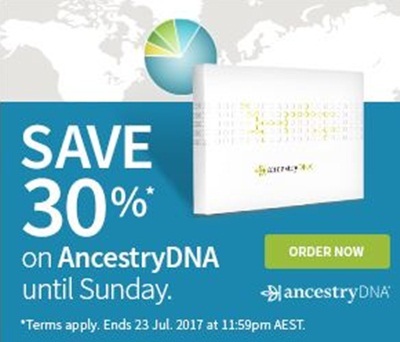 If you don’t get one for yourself, why not give a DNA Chart Gift Certificate and help your friends and family show off the results of their DNA test in a beautiful way. Gift Certificates arrive instantly in your email ready to print and give. A great gift idea for those who have everything or are just hard to buy for. 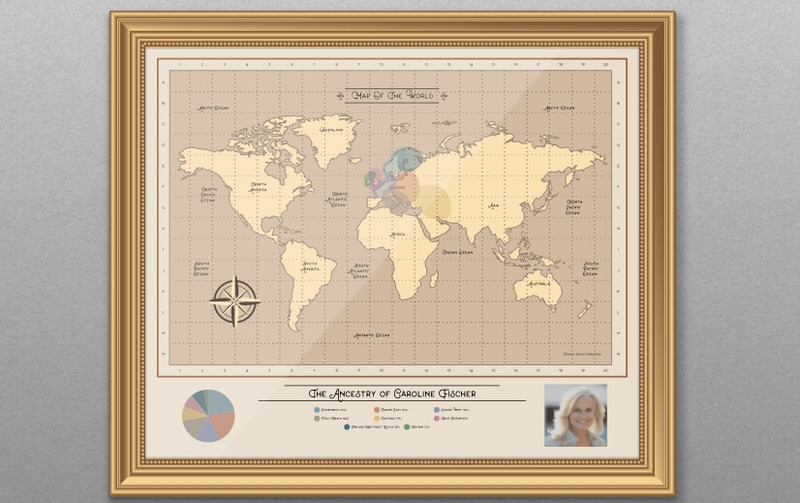 If a DNA chart isn’t your style, Family ChartMasters are one of the world leaders in custom chart printing. be sure to check out what they offer.